Executive MBA 2012 kicked off! 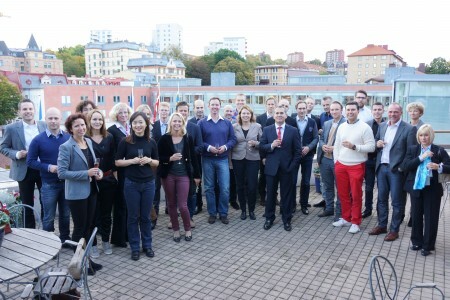 October 4th was a beautiful autumn day in Gothenburg when our Executive MBA Class 2012-2014 kicked off. It was a special day for the School of Executive Education to welcome 28 talented participants, and to start a two year journey together. A big circle was quickly formed by the students in front of the classroom, which made this corner of the School of Business, Economics and Law become alive in the early morning. The programme officially started with an interactive introduction by Dr. Andreas Diedrich, the programme director of the class. The introduction finished with the students voicing their expectations for the programme. We were happy to see how active and passionate this group is. Soon afterwards, the participants were asked to draw about their lives on a piece of paper and give a short self-introduction to the class. I was sitting there listening to the presentations. Time passed by so fast with those joyful moments when I was so into their interesting and impressive stories. It was interesting to find out that quite a big part of the group shared similar hobbies, such as sailing. Most participants are from Sweden, yet most of them have had international experience to be shared in the class. A few participants from USA, Iceland, Iran, Kurdistan and China will further contribute to the diversity of the group. This newly met group got to know each other a bit more over a rather relaxed and fun time. People outside the class room could hear laughter from time to time. The participants learned on this very first day that this programme demands a lot of time and big commitment for the coming two years. 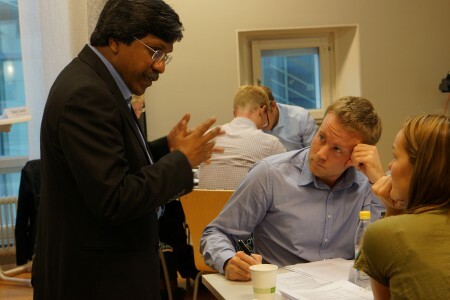 Right after the introduction session, Prof. P D Jose from India began the first lecture on strategic management. He led the participants into their first Executive MBA class experience. Everyone was very much engaged and enjoyed the group discussions, while they also realised that the intense schedule during the classroom time is only a fraction of energy and time needed to fulfill the requirements of the programme. This day ended with a welcome dinner held at the school. We first had a small warm-up with a glass of champagne on the terrace. 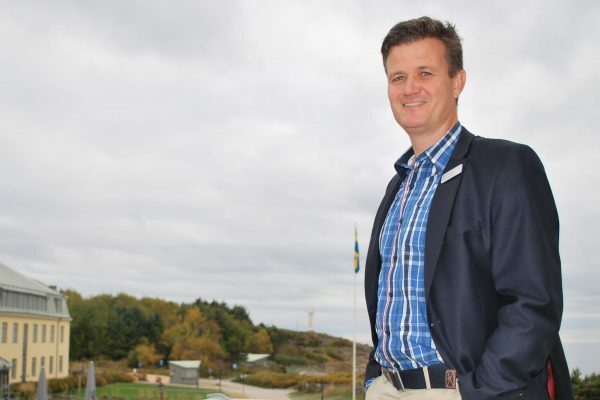 Oskar Broberg, the director of studies for the Graduate School at the School of Business, Economics and Law, joined us and gave a nice welcome to the new participants. The dinner commenced after a cheerful toast. I looked around during the dinner. It was nice to see all happy faces enjoying each other´s company. Let´s raise our champagne glasses and wish this class an enjoyable and successful journey with us!